Raffle tickets are now available at the Mt. Washington Weather Discovery Center in North Conway, NH. Don't want to buy a ticket? You can support our cause in other ways -- donate directly to Global Fund for Women and/or GirlVentures in honor of GIRLS ON THE WAY. 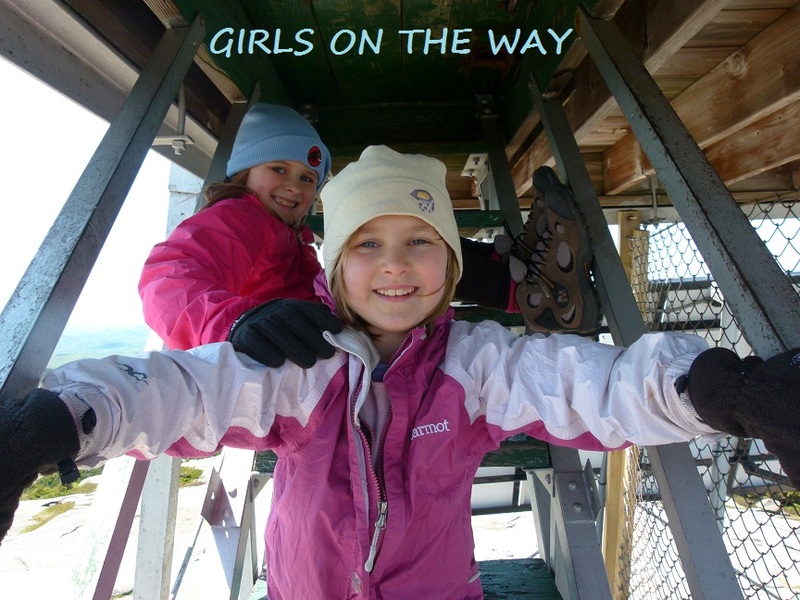 The girls and I hiked Kearsarge North today. It was a moderate hike by White Mountain standards -- just 6.2 miles roundtrip with only 2600 feet of elevation gain -- but it gave us a bit of everything in terms of New Hampshire terrain. Again, the girls carried "Camino packs," and again, both fared well under the additional weight. I'll have a full trip report early next week. This weekend, I hope to buy both girls the base layers and socks they'll need for the Camino﻿. I think they're set with waterproof layers, hats, and gloves. Fleece and shoes/boots will have to wait until a month before we leave (if I buy those items too early, then the girls might grow out of them before they're needed). Would still like to get the girls ultra-light backpacks, but those'll have to wait...I can't buy everything we need at once (my last name isn't Rockefeller).